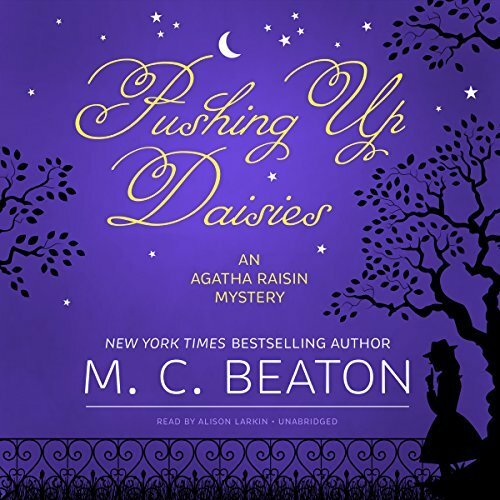 When Agatha Raisin left behind her PR business in London, she fulfilled her dream of settling in the cozy British Cotswolds where she began a successful private detective agency. Unfortunately, the village she lives in is about to get a little less cozy. Lord Bellington, a wealthy land developer, wants to turn the community garden into a housing estate. When Agatha and her friend Sir Charles Fraith attempt to convince Lord Bellington to abandon his plans he scoffs: “Do you think I give a damn about those pesky villagers?” So when Agatha finds his obituary in the newspaper two weeks later, it’s no surprise that some in town are feeling celebratory. The villagers are relieved to learn that Bellington’s son and heir, Damian, has no interest in continuing his father’s development plans. But the police are definitely interested in him―as suspect number one. His father’s death, it seems, was no accident. But when Damian hires Agatha to find the real killer, she finds no shortage of suspects. The good news is that a handsome retired detective named Gerald has recently moved to town. Too bad he was seen kissing another newcomer. But when she is also found murdered, Gerald is eager to help Agatha with the case. Agatha, Gerald, and her team of detectives must untangle a web of contempt in order to uncover a killer’s identity. This was another enjoyable installment in the prolific Agatha Raisin series. This series is like comfort food for me. I love the Cotswold setting, and each of the characters have become near and dear to me, especially Agatha! Mrs. Bloxby asks for Agatha's help because the residents who own allotments outside the village are under threat of losing them. No longer owned by a trust but instead by Lord Bellington, his plans are to make a fortune by selling them off to a developer. Agatha and her sidekick, Charles Fraith, visit Bellington and appeal to him to change his mind. If the deal goes through, Carsely will lose its village status and become a town and other developers who have been trying to build will then be allowed to do so. Bellington could care less about the villagers, and he has no plans to back down. It's not really a surprise when he is murdered, and Agatha deduces right at the outset with just a few facts that it sounded like he was poisoned with antifreeze. Wilkes' knickers are in a twist that Agatha figured out the cause of death without seeing the body, and Bellington's son hires Agatha to find the murderer to clear his name as he stands to inherit everything and is the chief suspect. Mrs. Bloxby continued her flirtations with Gerald Devere, acting totally out of character for her! As always, Roy Silver shows up when he needs rescuing and Aggie fixes things for him with respect to his job. James Lacey wasn't present very much, and I think I missed that! 3 stars!! It was good, and I enjoyed it. 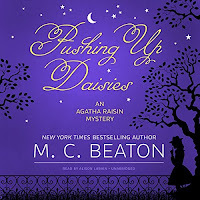 I love Agatha Raisin but admit it's been awhile since I've read her. I need to see where I've left off.